Some occupations help you rack up the steps more than others. I had two of these jobs back in the day, before fitness trackers were even a hint of an idea! 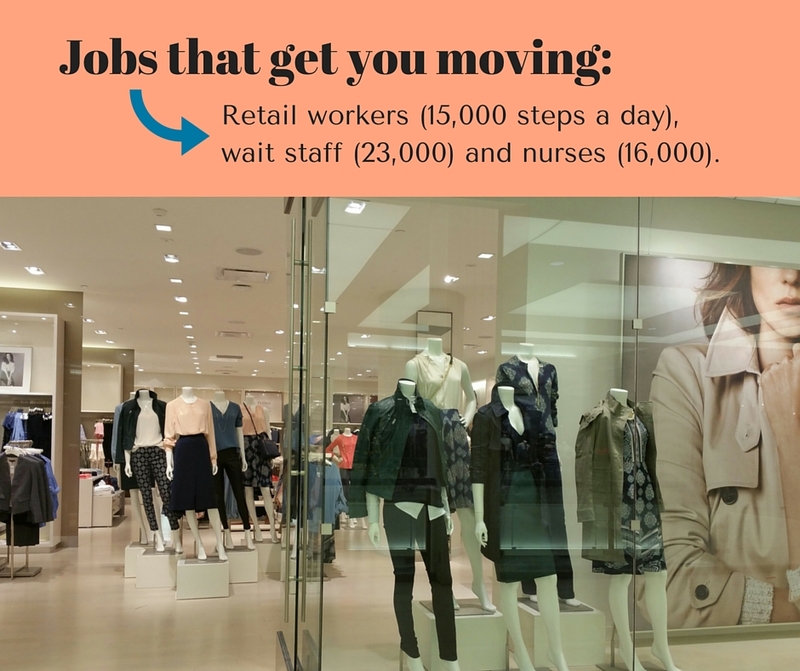 This entry was posted in Walking Fact Wednesdays and tagged #stepitup, nurses, nursing, restaurant jobs, retail jobs, retail workers, step count, steps, waiters, waitresses, walking, working on your feet by Walk With Joelle. Bookmark the permalink.